When the time comes to say goodbye, all dog parents hope their pets peacefully pass away after a long, happy life. The unfortunate reality, however, is senior dogs and dogs suffering from illness or injury most often rely on their owners to know when it’s time to cross the Rainbow Bridge. Choosing to end a life—a life you’ve cherished as part of the family—is an impossibly difficult decision, but preventing suffering is your biggest concern. 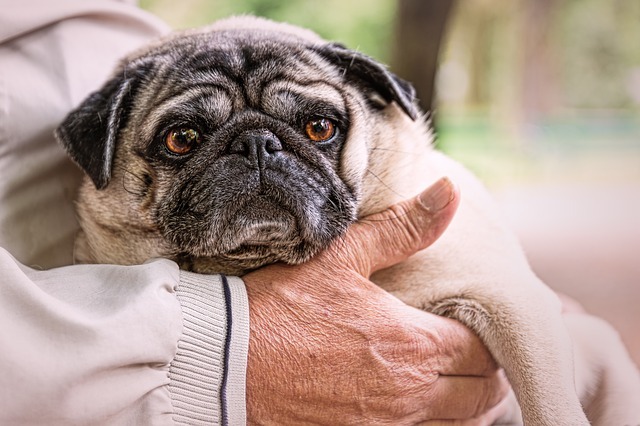 No one wants their best friend to suffer, and veterinarians guide dog owners in how to tell when illness or advanced age has become too much for a pet to bear. There is no clear answer to when it’s time to say goodbye, but there are signs to look for to help make this important decision. Having one or two of the following symptoms doesn’t necessarily mean it’s your dog’s time, but noticing several of these signs indicates it might be time to talk to your vet about a peaceful end of life plan. For most dogs, eating is their favorite thing to do. They enthusiastically chomp down dinner and accept every treat offered and left unguarded. When a dog suddenly or gradually stops showing an interest in meal time, it’s a sign something isn’t right. As organs shut down, the dog loses their sensation of hunger and thirst. Eating is suddenly more effort than it’s worth, and even the juiciest steak can’t tempt them into chewing. Health will continue to decline without a healthy diet. Temporary fasting could be caused by something as benign as a stomach ache, but if meals go untouched for several days in a row, it’s time to speak to a veterinarian. Gradual weight loss isn’t easy to spot. Most dogs step on a scale once a year at their annual vet check-up. If their owner isn’t picking them up on a regular basis, gradual weight loss can easily go unnoticed. It doesn’t happen all at once, but one day a dog owner might notice their pooch looking especially thin. It could be related to a lack of appetite or their body’s inability to process nutrients. A dog can’t tell you when they don’t feel well, and that makes recognizing the signs of chronic pain especially challenging. The key is to pay close attention to the dog’s body language, movements, and behaviors. Sometimes pain can be managed with medication or regular physical therapy, and sometimes it can’t. Pain management strategies that used to work in the past can stop being effective. If your dog doesn’t seem to perk up after taking medication, or if their regular physical therapy routine no longer seems useful, their pain is negatively—and most likely permanently—affecting quality of life. Along with loss of interest, ailing dogs might also show signs of mood changes. Affectionate dogs known for being good around children might gradually grow wary of the same behaviors they used to tolerate. Pain and a general low quality of life can cause them to be short-tempered and even aggressive. They might start responding to situations in unexpected ways and begin behaving differently around family members. They could also show signs of depression including sleeping more often and being generally inactive. 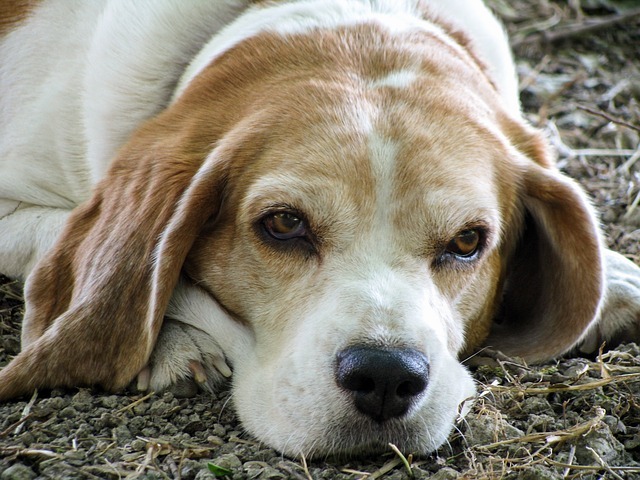 Many aging dogs can sense when their time is coming and choose to withdraw from the family. Some canine behaviorists believe dogs isolate themselves at the time of their death as an instinct to not slow down the pack or cause unnecessary trauma for loved ones. Not everyone supports this theory, but social withdrawal often happens at the end of a dog’s life. They seek isolation to avoid contact, sometimes because being touched is too painful to bear. They hide in closed-off areas and spend more time by themselves than with family. Incontinence is the inability to control the muscles in the bladder or bowels leading to the involuntary loss of urine or feces. It’s a condition that affects senior dogs of all breeds. Pets WebMD lists urinary tract infections, hormonal imbalances, degenerative spinal conditions, diabetes, and kidney disease as possible causes. Constant dripping of urine or feces makes a mess, and it also irritates the skin. Senior dogs that start having frequent accidents indoors could be suffering from incontinence and be too weak to make it outside. Not every case of incontinence is related to an animal’s end of life, but it’s important to speak to a veterinarian. As the body shuts down, breathing becomes more difficult. End of life breathing problems could manifest as a chronic cough or the dog’s inability to take a deep breath. Their breathing might sound uneven or there could be uncomfortably long pauses between each exhale and inhale. Labored breathing drains a dog’s energy and usually leads to regular lethargy. 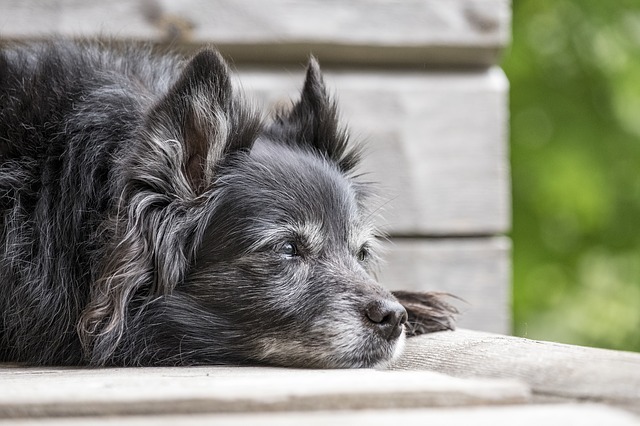 A general decline in coordination and cognitive dysfunction is common in senior dogs. A dog near their time might seem especially clumsy and unsteady on their feet. They often give the appearance of being dizzy and might walk into furniture and have trouble getting from place to place. In some cases, the dog might choose to remain sedentary because they know standing will lead to loss of limb control and disorientation. If coordination problems aren’t what’s keeping a dog from moving around, it could be pain and muscle weakness. Muscles gradually deteriorate due to advanced age and poor nutrition. A dog that used to be able to leap over the fence might start having trouble walking and even standing. This inability to move around can be both frustrating and depressing to the dog. Some try their hardest to get up only to collapse due to weakness. Watching your dog’s health decline is the most painful part of being a pet owner. Above everything else, you don’t want them to suffer. Making an end of life decision for your dog won’t be easy, but it’s important to put your dog’s needs above your own emotions. Think of the situation objectively and talk to as many people as you can. Discuss with friends who made similar decisions and talk it over with other adults in the family. Your veterinarian will give you their recommendation, but the decision is solely yours to make. Palliative care can help ease your dog’s suffering and keep them comfortable as you consider options.